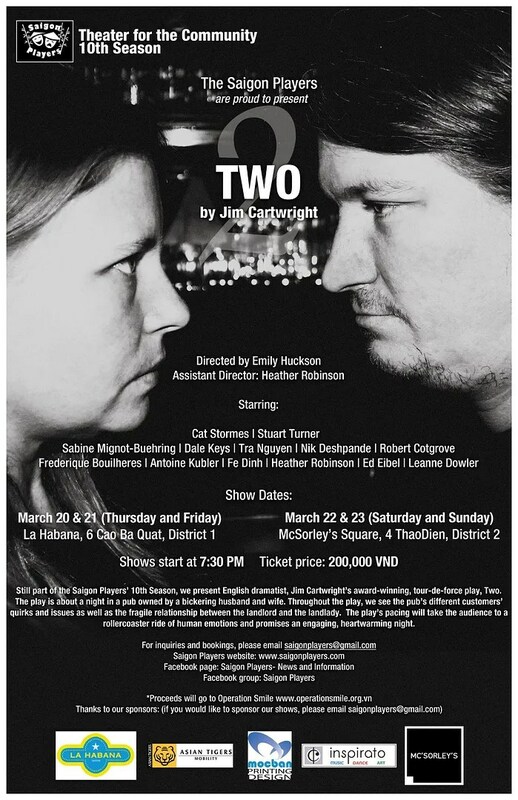 The Saigon Players’ Two Opens on the 20th! | Hello Saigon! Proceeds of this production will go to Operation Smile 🙂 and Friends for Street Children Association. You can buy the tickets at the venues! You can also go online to book tickets: http://www.ticketbox.vn/ticket-booking/1096/step1 or through cash on delivery of tickets (this service is only available until March 18). 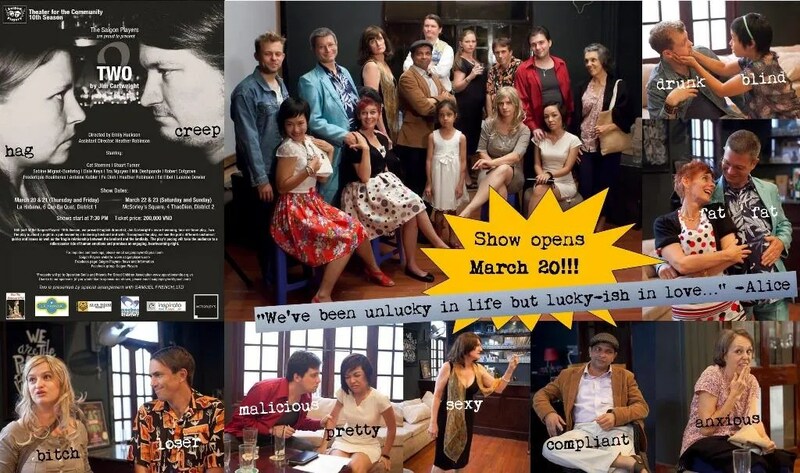 This entry was posted in Event, Exploring Saigon and tagged dinner theater, play, Saigon Players, Two. Bookmark the permalink.